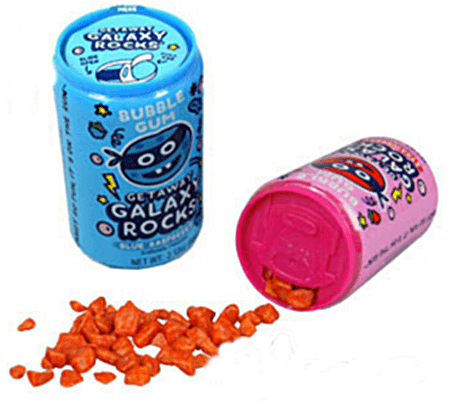 Galaxy Rocks Bubble Gum resembles the shape of pebbles but are loaded with yummy fruit flavors. 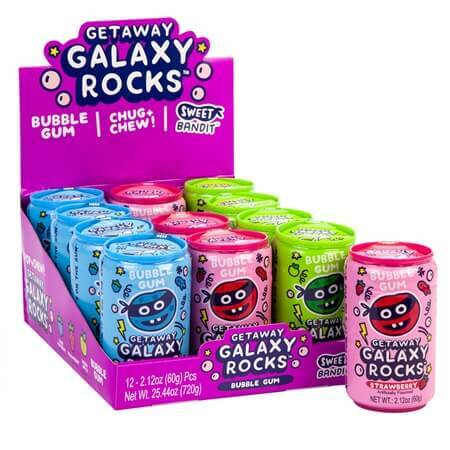 Just pull the resealable tab and pour in your mouth and start chewing. 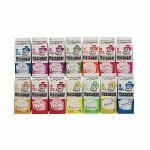 Mini sized cans come in strawberry, blue raspberry and green apple. 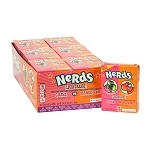 You will want to collect all three delicious flavors. 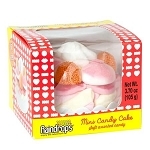 The 2.12-ounce containers are ideal for adding to birthday party treat bags or showcase at your checkout lines in the eye-catching display box. 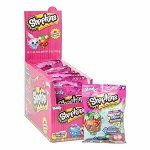 Get your chew and chug bubblegum online now by adding to your shopping chart today!